How many times have you been listening to a colleague speaking English and heard a word or phrase which doesn't seem to fit into the conversation? Hi Bob, how are you today? Great thanks, Hiroko, but it's raining cats and dogs outside today, isn't it? If you would walk away from this conversation thinking "Why did Bob start talking about cats and dogs in the middle of our conversation?" Then, you will find this blog useful. 'It's raining cats and dogs' is an example of an English idiom. 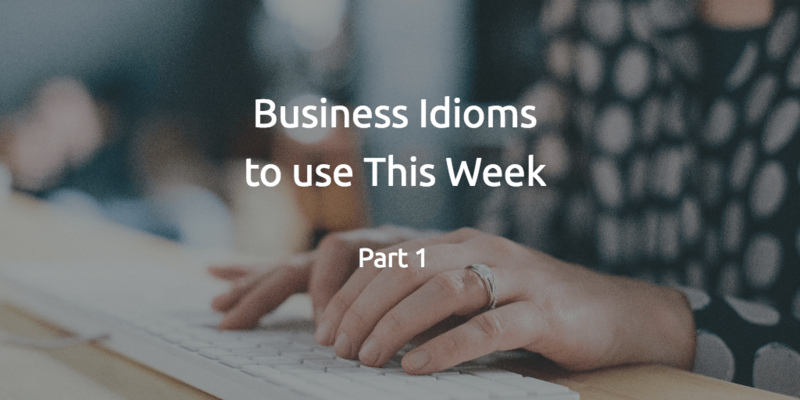 These are phrases which are used in general and business English conversations every day. Each idiom has a meaning which is different from the meaning of the individual words within the idiom. In the example above, Bob is not referring to cats or dogs, he is actually describing the extremely rainy weather that day. This phrase refers to something which applies to all members of a specific group. It affects everyone within a company, system or society. This rule will be implemented across the board next month. When the law is passed, it will be applicable across the board. This idiom describes something which breaks the tension of an awkward situation. For example, meeting someone for the first time. I'd like to welcome everyone to the group. Let's break the ice by going around the room and introducing ourselves. We completed the first day by doing an initiation exercise to break the ice. This idiom is used to talk about the start of a process. We get the ball rolling at the start of something new, like the beginning of a project. The project is due to start today, so let's get the ball rolling. Once the Board of Directors approves the budget, we can get the ball rolling. Cakes? This idiom has nothing to do with baked goods. In fact, it is used to describe a product which is very popular and is selling large quantities at a fast pace. We are delighted to announce that our latest product is selling like hotcakes. We should beat our sales forecast this year. The new iPhone is selling like hotcakes. It is the must-have item this season. If you give someone a hand, you help them a little with a task. This often involves some physical effort. This idiom is often followed by the preposition with. Can you give me a hand with these heavy boxes, please? I asked James to give me a hand moving house next weekend. Exercise: Now it's your turn. Fill in the gaps in the sentences below with the correct idioms from above. The managers have decided to ________________ early. We will start the project next Monday. At the beginning of the training workshop, we all introduced ourselves to the group to ________________. Our new clothing line is _________________. We expect to hit our sales targets early this year. This equipment is too heavy for me to carry by myself. Please will you __________________? These are just a few common English idioms. Can you think of any more? If you enjoyed this page, take a look at the Commonly Confused English Words series. 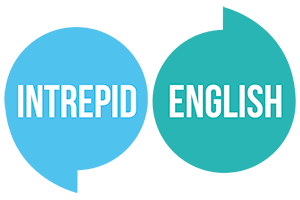 If you have any questions, or you would like to request a topic for a future blog, you can contact us here or email us at Intrepid English.